You can read about Tara Norton’s impressive Ultraman World Championship title in our news section – the 47-year-old wonder woman followed up a breakthrough performance at the Doxa Threelay with the Ultraman world championship on the Big Island in Hawaii last November. Five years ago Penticton’s own Dave Matheson not only won Ultraman Canada, but he also set the course record. 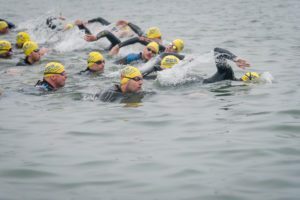 Half a decade later the 47-year-old was back at the race and not only took another title, he managed to break his own course record by 10 minutes.